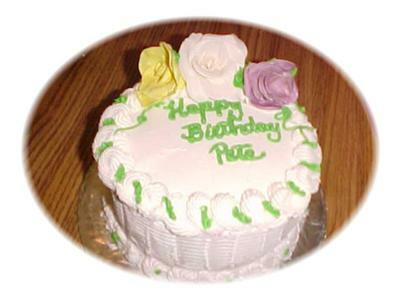 This birthday cake is just a plain and simple cake, for my neighbor. I baked a red velvet cake in two 6 inch pans and frosted it with buttercream. I made a few gumpaste roses and frosted the cake ran an icing comb around the cake, stopping every inch or so and pushing down and then continuing around.